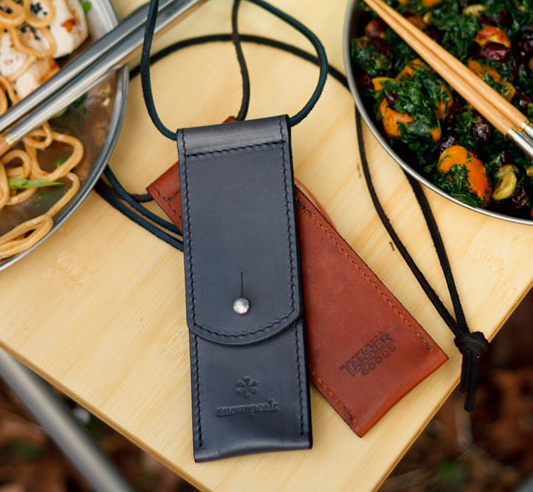 Tanner Goods collaborated with outdoor life/sportswear brand Snowpeak on a leather case/chopstick collection. Bamboo tips inside stainless steel tubes inside a quality leather carrying case? Let's get it. Purchase here.